1915 - The Films of Wallace Reid silent era films of Wallace Reid. Written by Thoams F.Dixon jr. 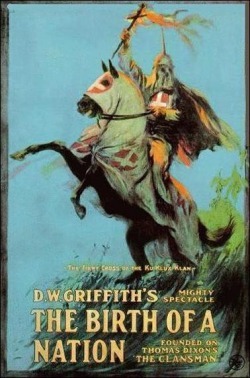 This film was a collossal production directed by the great D.W.Griffith. Wallace Reid played a small role as Jeff the Blacksmith but he was so good in it that producer Jesse L.Lasky signed him for a contract after seeing his performance. Wally had such a great respect for Griffith that he even took a salary cut just to work for him.Originally, the significant role of Henry Walthall went to Wally when the former got sick. Then ,all of the sudden, Walthall appeared on the set, ready to assume his role. Wally was so frustrated that when the part of Jeff the Blacksmith was offered to him by Griffith instead, he accepted without even thinking. Jesse Lasky considered himself lucky to have Wally under his wing.He said that finding Wally was like finding a 180 pound diamond and he was right. Wally was a trooper. He was so good natured and so nice that everyone loved him. 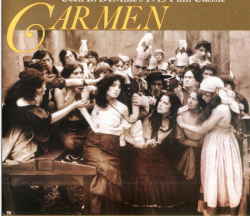 And then , people started noticing Wally too...soon, he will become a superstar..
Opera singer Geraldine Farrar played the title role of Carmen while Wally was Don Jose, the officer she put under her spell.In real life, there developed a special friendship between Ms.Farrar and Wally. They were both musically gifted and Wally had an enourmous respect for Ms.Farrar. 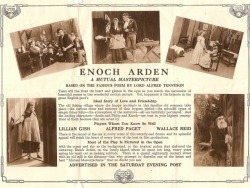 The venerable Ms.Lillian Gish played opposite Wally in this delightful film. 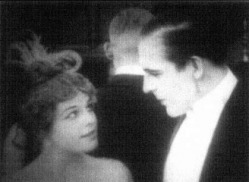 The beautiful Cleo Ridgely was Wally's love interest in this 1915 film.Here they are shown together intently looking at one another deep in conversation. In silents, actors and actresses learned how to emote through facial expressions. Cleo's and Wally's eyes seem to say it all.